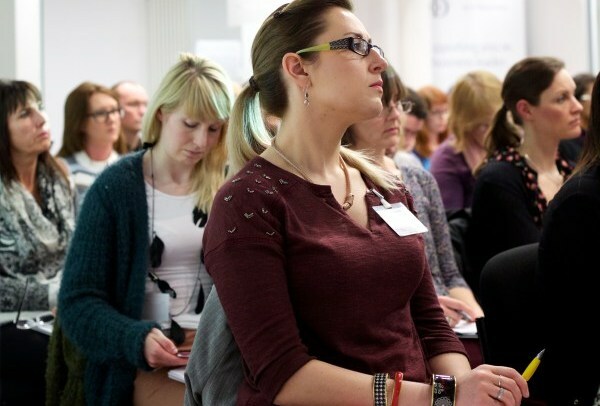 On 18 March we held a one-day conference exploring transition pathways for autistic students. Speakers included Emma Jones from the National Autistic Society, Matt Tucker from Birmingham City University, Penny Andrews and Autism&Uni Lead Researcher Dr Marc Fabri. 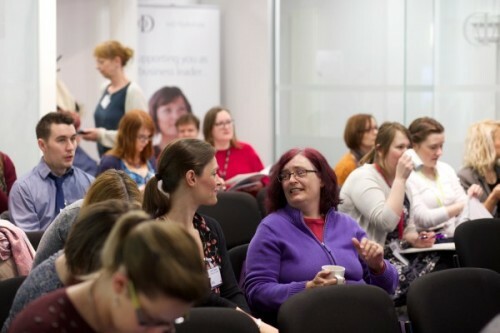 With more than 60 delegates coming together in the historic BBC Broadcasting House in Leeds, the conference was a great success both in terms of the interest it generated nationally, and the feedback received from delegates on the day. Kate Dean, Head of the Disability Assessment Centre (DAC) which conducts study assessments for disabled students, opened the day with an overview of the research and support initiatives taking place at Leeds Beckett University. 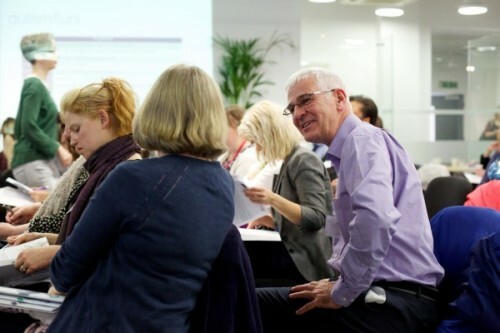 The DAC has worked with a team at the National Autistic Society (the leading British charity improving the lives of people on the autism spectrum) to review the centre’s practices and communications, aiming to get them right for autistic people – and by implication improving provisions for all students who use the centre’s services. This includes using clear and unambiguous language, be up-front about what students can expect, etc. This is important since the DAC has seen a 20% year-on-year increase in students declaring autism when they start university. 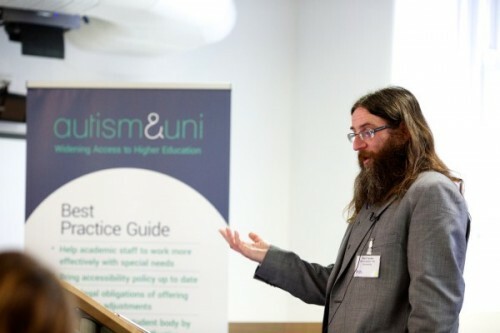 Kate then introduced Marc Fabri who talked about the Autism&Uni project and its outcomes: The set of Best Practice Guides for academics and support professionals and the Online Toolkit for autistic students to navigate the challenges of entering higher education. Marc ended his talk by advocating a more universal and inclusive approach to education where there is less need for reasonable assessments – because options for students to adjust their learning and assessment are already built into the system. This is also one of the key messages found in the Autism&Uni Best Practice Guides. All UK universities were then invited to adopt the free toolkit and to distribute the Best Practice Guides amongst staff. Contact Marc for more information. The next speaker was Matt Tucker. Matt is one of the specialist autism mentors at Birmingham City University and he identifies as having Asperger’s Syndrome himself. Matt recounted his own experiences of struggling with certain areas of his life and being diagnosed late, at the age of 40. 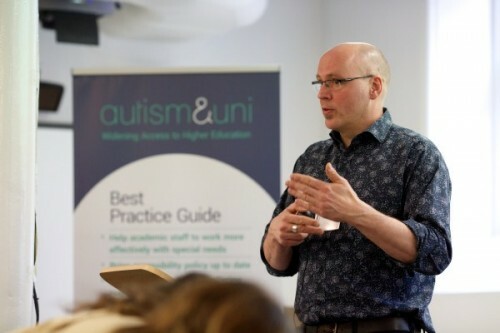 He talked about the impact he had made on the support provision at BCU, and how important it is to recognise that every (autistic) student is different, and that there is no one-size-fits-all solution to autism support. It is crucial to understand not just what a student may struggle with, but also what they may excel at. Too often the focus is on impairments and difficulties alone. Matt ended his talk by touching upon the issue of employment after university, giving examples of students who performed very well in their studies but did not manage to convert that into graduate employment. This is also the topic of the final talk of the day, by NAS employment specialist Emma Jones (see below). “What will I take away from the day? After a hearty lunch and the opportunity for attendees to get together in small groups and share their own ideas of what good practice means, the talks continued. 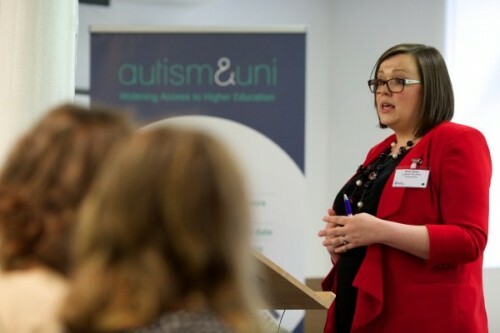 As Autism&Uni Research Assistant Penny is responsible for much of the background research for this project, and as an autistic person she provided many insights the project partners valued highly. 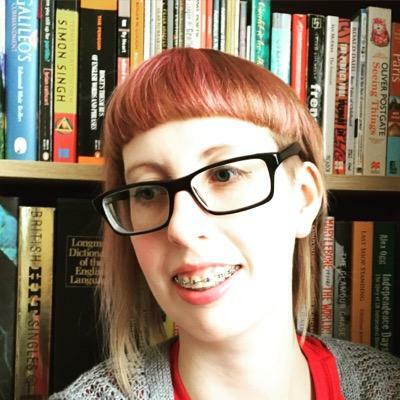 She reflected on securing the Research Assistant job and on how very autistic it is to do a PhD – one can spend all their time on a specialist subject and talk about it for hours, and that’s ok! The final speaker of the day was Emma Jones, Partnerships and Employment Training Coordinator for the National Autistic Society. Emma talked about the challenges young people face when leaving university, and also the challenges employers encounter when interviewing and selecting candidates. Current practices favour those who come across well in interviews, rather than those who can then do a job well. Emma explained what the NAS’s approach with employers is, how they try to find the right autistic person for a particular job – rather than jobs for autistic people. Autistic people are likely to be outstanding in their jobs provided they get the right support and training – loyal, reliable and there for a long time. Logical, methodical in approach, strong numerical skills, integrity, accuracy and attention to detail – all those attributes that were real strengths while being a student too. The TMI (Too Much Information) campaign is one of the current initiatives by the NAS – helping people understand that they probably don’t understand autism well enough to support, and work with, autistic people straight away. A deeper understanding of autism, and most importantly of the individual, is required. Other topics covered were how jobs are described, how interviews are conducted (should the candidate have questions beforehand? ), strategies for interviews, the challenges of getting through the first day at a new job, hot-desking and open plan offices. Emma highlighted the importance of positive role models – e,g, graduates who are now in the workplace going back to university to talk about their experiences – about small talk, dress codes, how to approach colleagues, the complex social environment one can find themselves in – with yet again different (unwritten) rules when compared to university. person on the spectrum give her experiences. How do I get more information on any events or similar sessions that you might run in the future? We don’t have plans to run an event on a similar scale unfortunately as the funding period for the project has now finished.